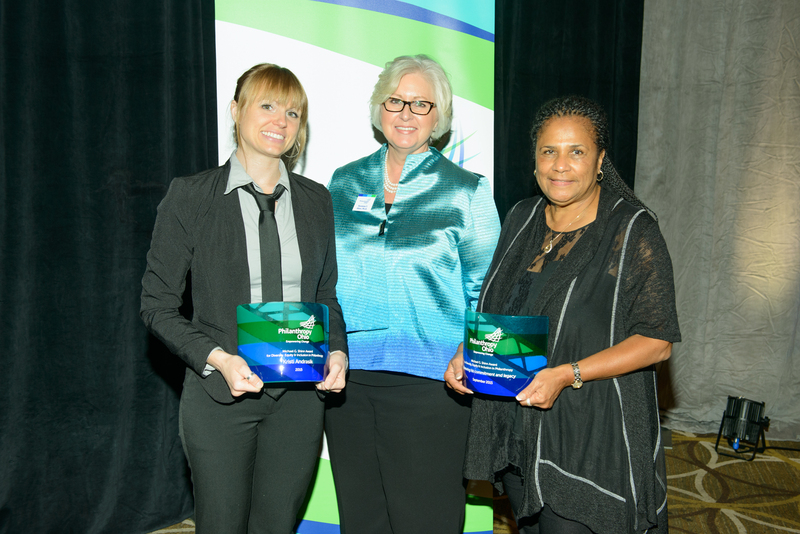 Last week at Philanthropy Forward ’15 in Cincinnati, we celebrated philanthropy and presented three awards to individuals who are advancing the field and doing some really great things. The annual Philanthropy Awards this year honored a lifetime achievement honoree, an emerging philanthropist and an honoree who celebrates and is dedicated to improving diversity, equity and inclusion. Philanthropy Ohio congratulates these individuals and we’re delighted to celebrate their accomplishments! 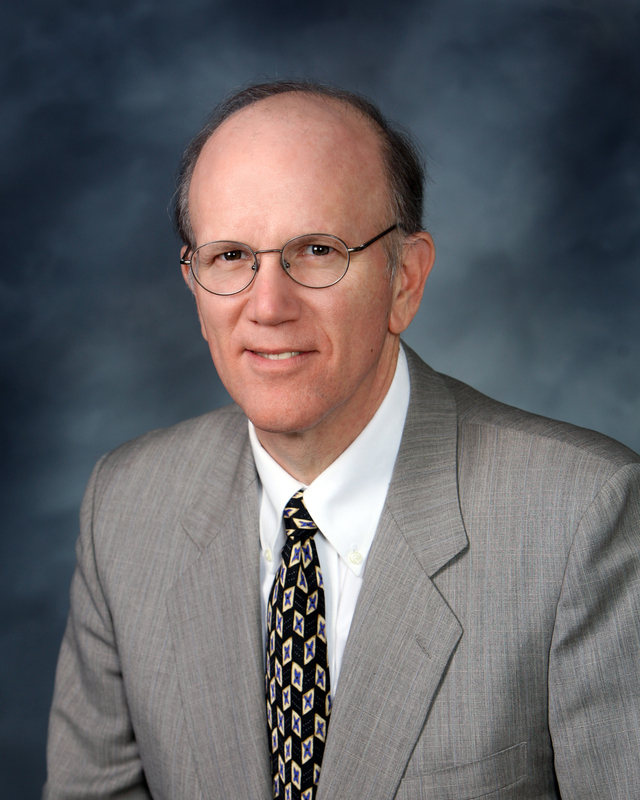 Gordon B. Wean, chair of the Raymond John Wean Foundation and board member of the Community Foundation of the Mahoning Valley, has won the 2015 Ohio Philanthropy Award. “Gordon realized early on that grantmaking in the Mahoning Valley had to change in order to be effective and meaningful. His vision transformed the Wean Foundation from one that supported the family’s personal interests to one that now provides benefits to a diverse array of nonprofit organizations and has become a leading force in the Mahoning Valley for building community and facilitating change,” said his nominator. 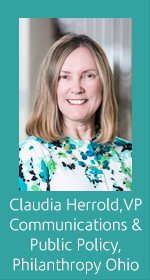 In his role as board member of the local community foundation, Gordon was instrumental in transitioning the foundation from one focused on attracting funds to one focused on strategic philanthropy and community impact, says Shari Harrell, president of the Community Foundation of the Mahoning Valley (CFMV). “He led CFMV’s strategic planning process in 2011 and continually brings new ideas and energies to committees and the board,” she noted. Gordon also served on the Philanthropy Ohio board for nine years, which he chaired in 2012 and 2013. While chair, he led the organization through a strategic planning process that resulted in new membership categories and a name change. 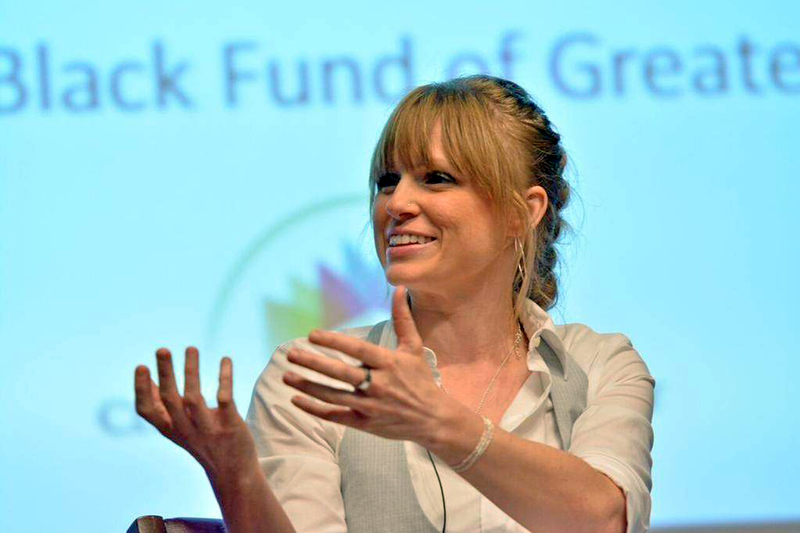 Kristi Andrasik, program officer at The Cleveland Foundation, is the first recipient of the newly-established Michael G. Shinn Award for Diversity, Equity and Inclusion in Philanthropy. 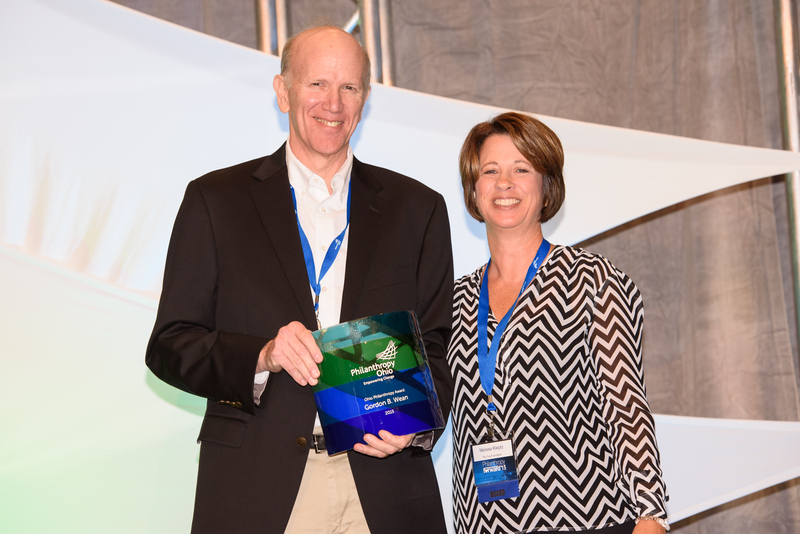 The Philanthropy Ohio Board of Trustees created the award to honor Shinn, who died earlier this year. He chaired the Diversity, Equity and Inclusion Committee, taking on primary responsibility for guiding the organization’s work in this arena. Cleveland-area colleagues who nominated Kristi wrote of her professional and personal commitment to making philanthropy more inclusive and equitable. Since joining the foundation three years ago, Kristi has focused on helping the Cleveland LGBT community mobilize resources and strengthen community infrastructures to prepare for the 2014 Gay Games and improve the well-being of Greater Cleveland’s LGBT residents. High school sophomore Connor Reed Thomas is this year’s Emerging Philanthropist Award honoree. 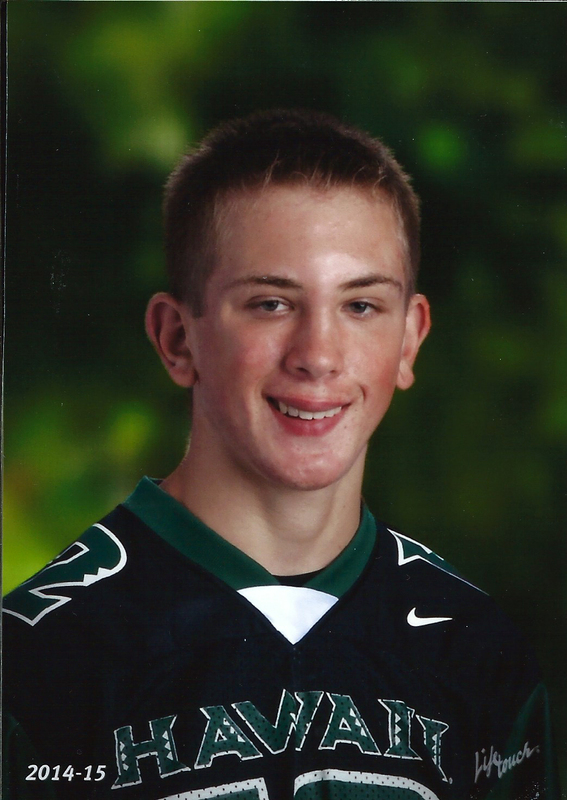 Connor attends Goshen High School in Loveland, Ohio, where he serves as class president, holds a 4.3 grade point average and is a star athlete in football and track and field. Outside of school, his philanthropic passion is in raising funds to support veterans and the military, most recently organizing a 5K run that raised $10,000 for homeless veterans suffering from addiction. He is also active in programs that send care packages to troops and runs a website devoted to military heroes. 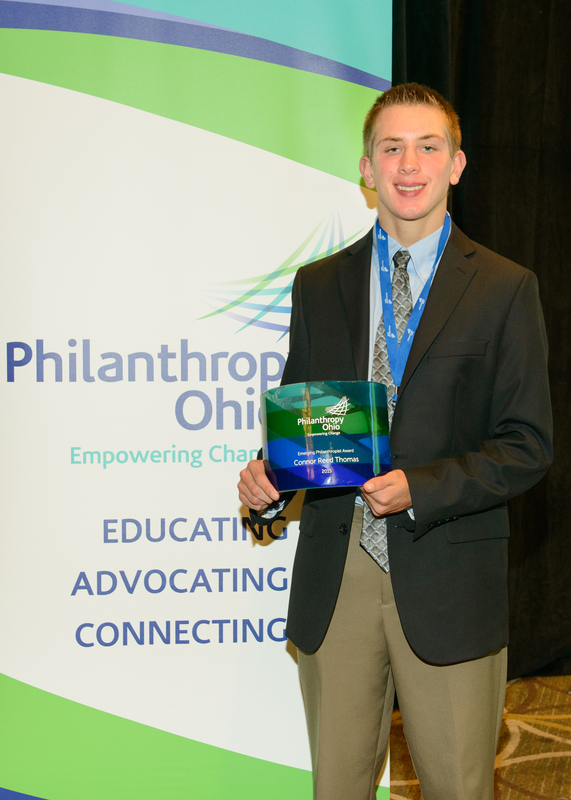 The Philanthropy Ohio award is just the latest in a long list of awards and citations Connor has garnered so far for his volunteer efforts. The Army Chief of Staff, Governor Kasich and Cincinnati’s Mayor Granley are but a few of those who have recognized him for dedication and accomplishments. Congratulations to all three recipients for their outstanding contributions to their communities! Entry filed under: Diversity, Philanthropy Forward '15. Tags: award, Cleveland Foundation, community foundation, diversity, Equity, gay games, honoree, inclusion, lgbt, mahoning valley, Ohio, philanthropist, Philanthropy, Philanthropy Ohio, winner. We’ve moved! A focus on leadership. A focus on diversity. A focus on creativity.